Congratulations go out to Cristie Kerr for winning the Sime Darby LPGA Malaysia. This was definitely one of the most exciting finishes of the year (and there have been plenty). With just two holes to go in Sunday's final round, there were still a half dozen players within a stroke of the lead. It looked as if it was a certainty that there would be a 4 way playoff (with Danielle Kang, Jacqui Concolino, and Shanshan Feng) when Kerr sank a 35 foot putt on the final hole to win it! For Kerr, it was her 2nd win of the 2017 season. This week the LPGA moves to Japan for the playing of the Toto Japan Classic. 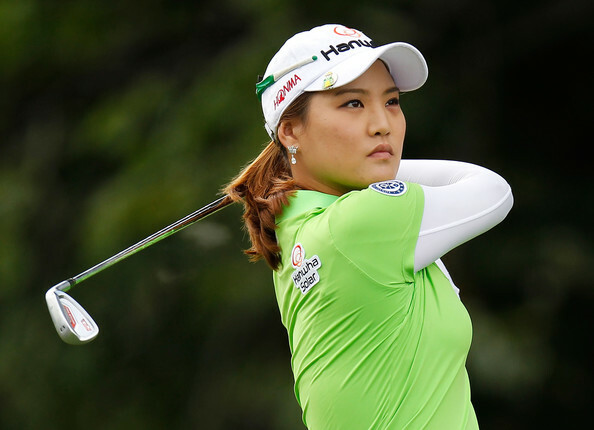 Many of you may remember last year's exciting finish when Shanshan Feng double bogeyed the final hole, but still managed to come up victorious by one shot over runner-up Ha Na Jang. This will be tournament #31 of 33 on this year's LPGA schedule, and the 4th of 5 events on the current Asian swing. This is great news! It was a long time coming. The U.S. Women's Open will be played at Pebble Beach for the first time in 2023. “We are incredibly proud to bring the U.S. Women’s Open to Pebble Beach for the first time,” said USGA president Diana Murphy. USGA CEO Mike Davis noted the association’s long ties with Pebble Beach. “The USGA’s relationship with Pebble Beach dates to the 1929 U.S. Amateur and it has proven itself time and again during the 11 previous championships,” Davis said, describing the course as a national golf treasure. This news will no doubt be greeted with excitment by the world's best female players, who very seldom get to play the most famous courses that the men play regularly. The U.S. Women’s Open is scheduled for June 1-4 in 2023. Congratulations go out to Eun-Hee Ji for winning the Swinging Skirts LPGA Taiwan Championship. This one was about as easy as it has been for any player to win on the LPGA tour this year. Ji entered the final round with a 6 shot lead and never looked back. 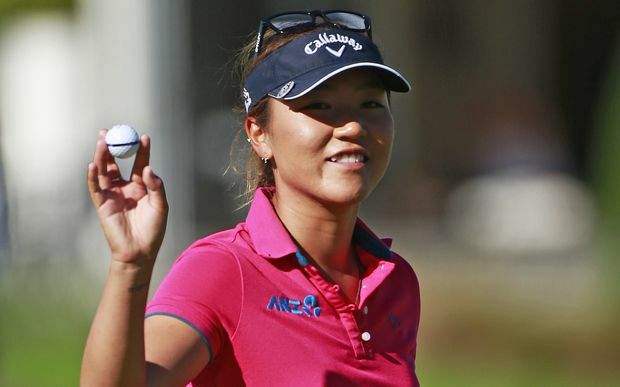 Her final round 7 under par 65 was good enough to win by 6 strokes over Lydia Ko. It was Ji's first victory on the LPGA tour since her U.S. Open victory in 2009. 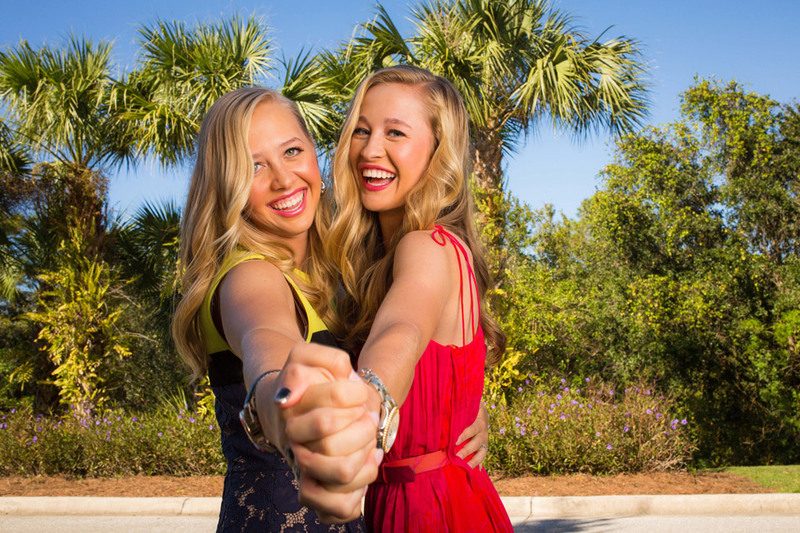 This week the LPGA travels to Malaysia for the playing of the Sime Darby LPGA Malaysia. Shanshan Feng will be trying to defend the title she won last year (and two of the past 3 years) when her -17 under par score was 3 shots better than runner-up Suzann Pettersen. This will be tournament #30 of 33 on this year's LPGA schedule. It is also stop #3 of 5 on the Asian swing. Congratulations go out to non LPGA member Jin Young Ko for winning the LPGA KEB Hana Bank Championship. She entered the final round with a 2 stroke lead, but lost it very quickly when she bogeyed the 2nd and 3rd holes. She then gathered herself and played the last 15 holes in 6 under par (6 birdies and 0 bogeys) to win by 2 strokes over runner-up Sung Hyun Park. 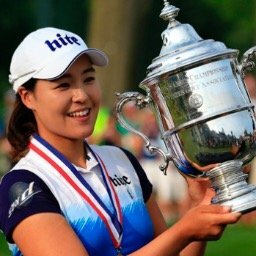 Ko is now eligible to receive a 2018 full time LPGA playing card if that is where she wants to play next year. This week the LPGA moves to Taiwan for the playing of the Swinging Skirts LPGA Taiwan Championship (formerly the Fubon Taiwan LPGA Championship). Many of my readers may remember last year's exciting finish when Ha Na Jang held off a charging Shanshan Feng and came out on top by a single stroke. Jang had built up a 6 stroke lead but was unable to make a single birdie the final 12 holes. Meanwhile Feng made 5 birdies on the back nine but fell one stroke short.